Virginia Overton (born 1971 in Nashville, Tennessee) is concerned with the economy of materials: it uses and recycles existing materials and objects that are about to lose their original use or have long since lost it. It develops from it, including the Westphalian Art Association, new sculptures that come to the area in a provisional and temporary relationship. Overton's sculptures appear sometimes rough, but always very direct and unique in that they arise from direct confrontation between the artist and the exhibition space and the existing or available materials. 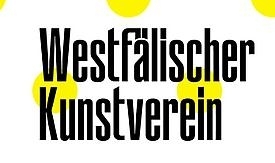 This is the first exhibition of the artist in Germany.